“Our story is about a town, a small town, and the people who live in the town. From a distance, it presents itself like so many other small towns all over the world …. Get closer, though, and you start seeing the shadows underneath. The name of our town is Riverdale. 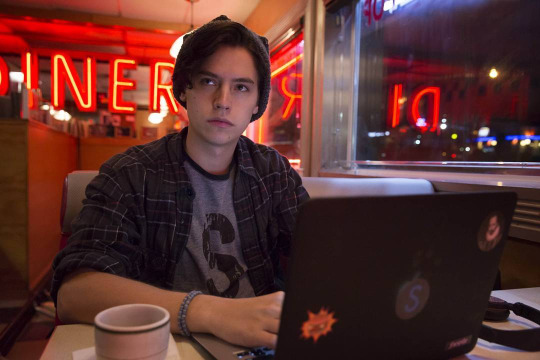 Riverdale starts off with Jughead Jones himself narrating. He tells us what the Blossom twins did: an innocent early morning boat ride on the 4th of July turned into the tragic drowning of Jason Blossom in Sweetwater River. If his sister Cheryl Blossom can be believed, that is. Upon hearing about the accident, a woman whom we later learn is named Alice Cooper, spitefully wishes out loud that Jason suffered during his last moments. Several months later, we meet Betty Cooper, Alice's daughter, chatting with her friend Kevin Keller while she prepares to go out for dinner with Archie Andrews, her next door neighbor. The intention is for them to catch up after not seeing each other during the summer, since Archie spent it working on construction with his dad’s business and Betty had an internship. While they catch up, Archie tells Betty that he’s started writing songs. Meanwhile, Hermione Lodge and her daughter Veronica arrive. 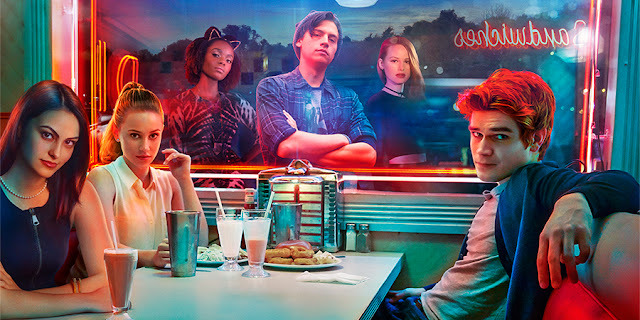 Jughead introduces them to us as the “new mystery that rolled into town” the day before high school starts for the year. Veronica goes to Pop’s Chock’Lit Shoppe to get dinner for her and her mom and meets Archie and Betty. Kevin had urged Betty to talk to Archie about her crush on him, telling her that Archie needed to be told what he wants. But before she can, Veronica walks in and it’s clear that Archie is completely distracted by the mysterious and witty new girl. 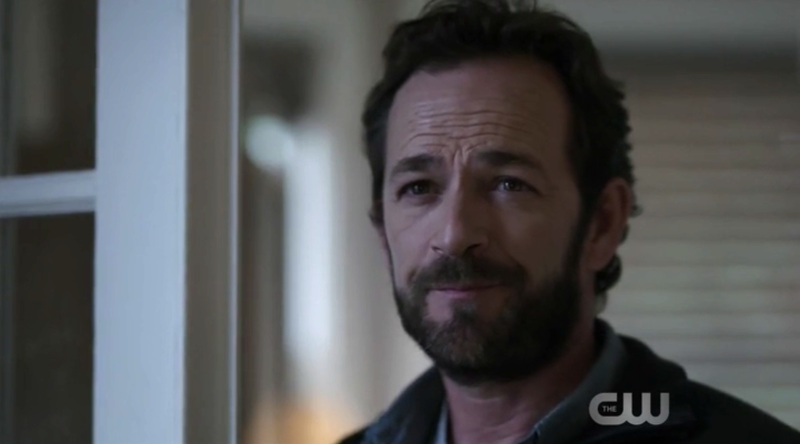 The next morning, we are introduced to Fred Andrews, Archie’s dad. He asks if Archie is going to help out at the construction site after school and Archie, clearly hesitant to mention his newfound passion for music, says he’ll be too busy with football tryouts. Betty is getting a lecture from her mother Alice, who reminds her that “all boys are like Jason Blossom” and tells her not to be like her sister Polly. If you got the idea that Alice is an extremely harsh, bitter, and judgmental woman from her wish for Jason to suffer, this scene absolutely solidifies that idea. At school, Betty and Veronica meet again as Betty gives Veronica a tour of the high school. 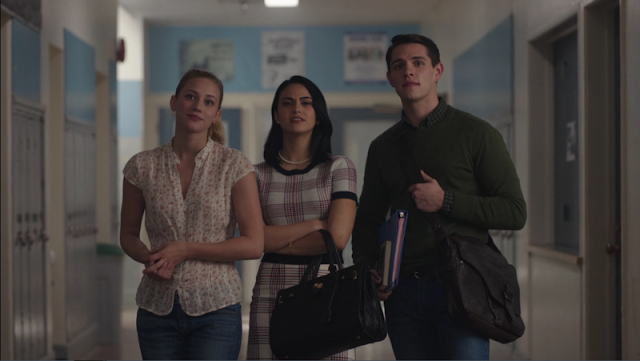 Kevin joins them, filling Veronica in on the few social activities Riverdale has. Unfortunately, Kevin asks about Veronica’s dad, which seems to shut her down as she insinuates that she’s on her father’s side. Whatever it is that her father did. To change the subject, Veronica asks about Archie. Kevin explains that while they aren’t official, Betty definitely has an interest in Archie already. Veronica backs off and encourages Betty to invite Archie as her date to the back-to-school dance. Betty ends up asking him to accompany her and Veronica, saying that since Veronica is new she won’t have anyone to take her. Archie hesitates but then gives in. What they don’t realize is that Archie hesitated because over the summer, he had a secret affair with one of his teachers, Ms. Grundy, and clearly still has feelings for her. This is, honestly, one of the biggest reasons I almost stopped watching the show. If this is a concern for you, please know that his relationship with the older teacher is not endorsed and is clearly shown as a bad decision. Over lunch, Veronica expresses some surprise over the fact that her arrival hasn’t created the big buzz she had been dreading. Kevin and Betty explain that she would absolutely be the next big thing if it weren’t for the death of Jason Blossom. 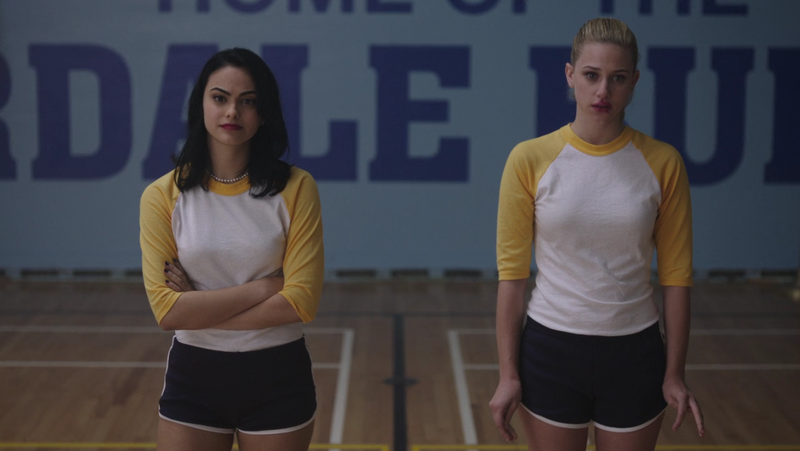 Before they can explain what happened, Cheryl herself appears and invites Veronica to try out for the cheerleading team, which she runs. “Betty and I come as a matching set. You want one, you take us both. You wanted fire? Sorry, 'Cheryl Bombshell,' my specialty's ice." While Betty clearly appreciates this gesture, she’s also confused as to why Veronica is being so nice to her. Veronica explains that she was just like Cheryl, if not worse, at her old school in New York. After her dad went to jail, apparently for fraud and embezzlement, Veronica realized what a cruel person she was after people started writing about her family and how horrible they were. When she found out she was moving to Riverdale, she realized she had the chance to start over and be kind to people instead of bullying them. During football tryouts, Archie is given the chance to join the varsity team and Coach Clayton hands him Jason’s old jersey. This startles Archie and he tells the coach he has to help his dad work construction and might not have time for such a big commitment. The coach calls Fred, who confronts Archie. He asks Archie who he’s lying to, his dad about no time for construction, or his coach about no time for football. Archie confesses that he wants to study music and while Fred tries to be supportive of this, he also points out that football gets him to college, college gets him a business degree, and a business degree gets him the construction company. This is clearly not what Archie wants, though. Alice spots Betty in her new cheerleading uniform and demands she takes it off immediately. Betty, fueled by the courage she found thanks to Veronica, tells her mom no, she’s doing something for herself for once, and also tells her mom that she’s going to the dance with Archie and Veronica. This shocks Alice, who warns her that Archie and Veronica are up to no good. At the dance, Veronica and Kevin keep trying to give Betty a chance to confess her feelings to Archie, but Archie wanders off to talk to Ms. Grundy and persuade her to help him study music. She is hesitant, but when Archie says he won’t tell anyone about the gunshot they heard on July 4th while they were--ahem--hanging out at Sweetwater River, she gives in and says she’ll teach him. 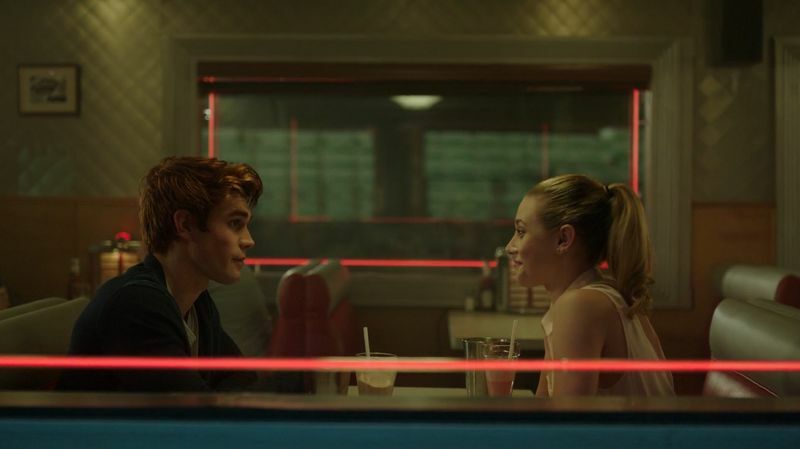 Once Betty finally has the chance to talk to a distracted Archie, he explains that he doesn’t have feelings for her like that and can’t see them together. He then abandons a broken-hearted Betty. To make matters worse, at Cheryl’s after party, Cheryl purposely sets Archie and Veronica up for “seven minutes in heaven” to further crush Betty. While Archie and Veronica both admit they admire and respect Betty and don’t want to hurt her, they end up making out. When they rejoin the party, Cheryl smugly informs them that Betty went home. Exhausted and in despair, Veronica goes home for the night. Archie decides to find Betty, stopping by Pop’s Chock’Lit shop to see if she was there. Betty isn’t, but Jughead is. The encounter is brief and awkward, but Jughead does have some advice for Archie. Archie arrives at Betty’s house and she meets him outside. When she asks him if he loves her, he says he does, but can’t offer her a relationship because he doesn’t think he’s good enough for her. Kevin, meanwhile, has sneaked off to Sweetwater River with Moose, a closeted jock interested in exploring his sexuality. Unfortunately for them, they stumble across the bloated corpse of Jason Blossom. With a bullet hole in his forehead. What do you think happened to Jason? What exactly did Veronica's dad do? And what's going to happen to Betty and Archie's friendship, not to mention her budding friendship with Veronica?